Monetary donation recommended, checks made payable to IDAF & cash contributions accepted at the door. 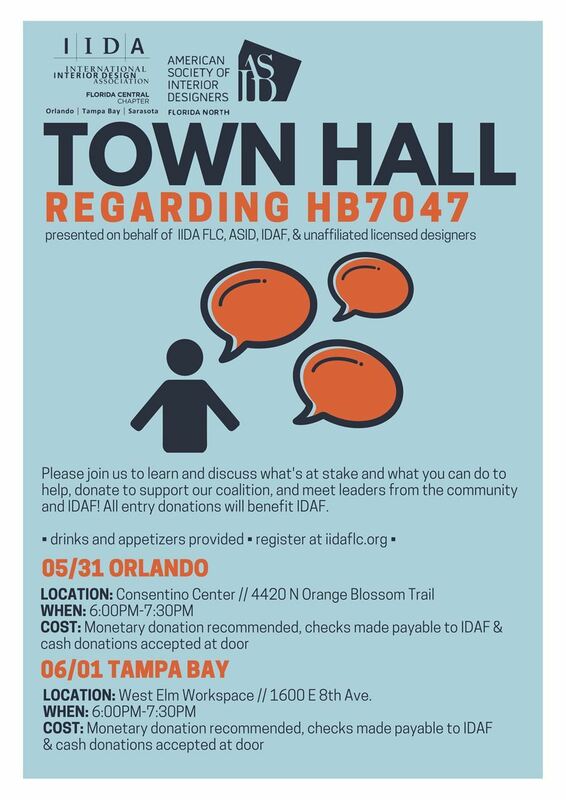 Join IIDA, ASID & IDAF for updates on the Interior Design Advocacy efforts! Monetary donations are encouraged to support our coalition's legislative deliberations. Cash and checks made payable to IDAF will be accepted at the door.